Summer is unofficially here, which means people are hopping on all kinds of trains, planes and automobiles to enjoy the beautiful beaches this world has to offer. As relaxing as a beach vacation can be, it can easily turn stressful after one good burn or dry, broken hair. That's why I have a set of favorite products that fit easily into my carry on beauty bag and save my poor bleached hair and fair skin from the harsh damages of the sun, sand and sea. Check out my five favorites that were all most recently tested and approved on the beaches of Colombia. Mick even tried them all and loved one so much he used up the entire bottle. As a fine-haired girl who's gone through a lot of shades blonde, I've put my poor hair through the ringer. It takes a lot of time and money to get it to the shade I like (shoutout to my colorist, Jan!) so I can't allow the sun turn it one bit. Not only can prolonged exposure to UVA and UVB rays change the blonde coloring, but it can make my bleached, processed hair even more brittle and broken. That's why I turn to this oil to help hydrate my strands while also providing a shield of protection against the damaging rays of sunshine. To top it all off, the skinny bottle squeezes perfectly on to the top of my bag before zipping it up. Along with the heat and sun, salt water is also going to dry out your hair. So no matter how much you protect and hydrate during the day, you still need to incorporate a healthy wash and condition into your travel beauty routine. I love this little travel-sized shampoo and conditioner. The shampoo pulls away the nasty daily build up like sand, sweat and product, while also building stronger strands thanks to its keratin ingredient. As for the conditioner, it's so softening that I fell in love after the first use. This brand is my favorite sunscreen brand and this sunscreen is my favorite from the brand. They consistently score perfectly on the annual consumer report of top sunscreens, so it's not just me either. This super light weight sunscreen melts into the skin flawlessly so it doesn't feel like you're wearing a thick, sticky layer, even when you sweat. 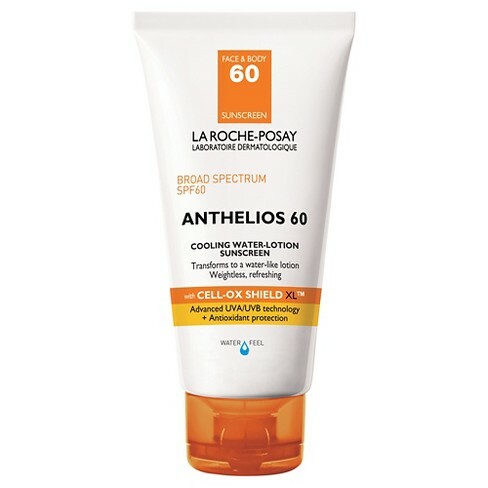 This case can be made for most of La Roche's formulas, this one delivers a cooling effect that feels incredibly refreshing, making reapplications something to look forward to instead of a drag. It's not exactly smaller or more convenient for travel, but you sunscreen is not something you want to skimp on. I break out too easily to trust using any body sunscreens on my face, so I always have and always will use a separate one. I have my everyday favorites for my daily city life (Tatcha Skin Perfecting Sunscreen and Dr. Jart + Every Sun Day) but this one from Avène really protected me from the extra strong Caribbean sun. At the same time, it gave me a smooth and flawless complexion that make makeup irrelevant for the entire trip. Thanks to this, my skin had sun-kissed glow (read: not burnt or greasy) that made me feel like a beach goddess. And honestly, isn't that what we all want on vacation? Last but absolutely not least is this toning and hydrating mist that is now empty and gone. I originally brought it so I could spritz and refresh after my plane ride to look dewy and awake when I saw Mick for the first time in six weeks. However, once Mick got a hold of it and learned there was aloe in it, he sprayed it on every burn he saw. To be fair, it did keep his freckly Irish skin from peeling after a very harsh day where one of our expired sunscreens did not worked. Not only was this small spray great for burns, but it also delivers a burst of a refreshing cool-down during even the most humid of days. Along with the face sunscreen, this must-have favorite made my complexion healthy and happy.